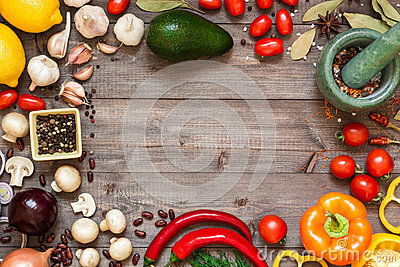 Frame of different fresh organic vegetables and spices on wooden table. Healthy natural food background with copy space. Frame of different fresh organic vegetables and spices on wooden table. Healthy natural food background with copy space. Top view.